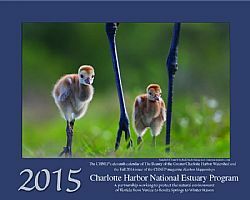 The Charlotte Harbor National Estuary Program (CHNEP) is pleased to once again, with the support of their partners, produce a calendar for 2018. The calendar highlights their exceptional natural resources in the CHNEP study area from Venice to Bonita Springs to Winter Haven. It additionally encompasses educational information about what is being done to restore and protect them. They would like to invite you to participate in an upcoming meeting regarding it. A special CHNEP Citizens Advisory Committee meeting is being held Wednesday August 2, 2017 at 2:30 pm at the Charlotte County Community Foundation, 227 Sullivan Street, Punta Gorda, FL 33950. This meeting is also open to the public and we welcome all interested to attend and participate in evaluating the hundreds of amazing images we received to help select those that will be featured in the upcoming calendar. It promises to be a fun afternoon.